Members of "F Force" suffering from dysentery, relieving themselves whilst on a break from the train ride into Thailand to work on the Burma-Siam Railway, 1943. 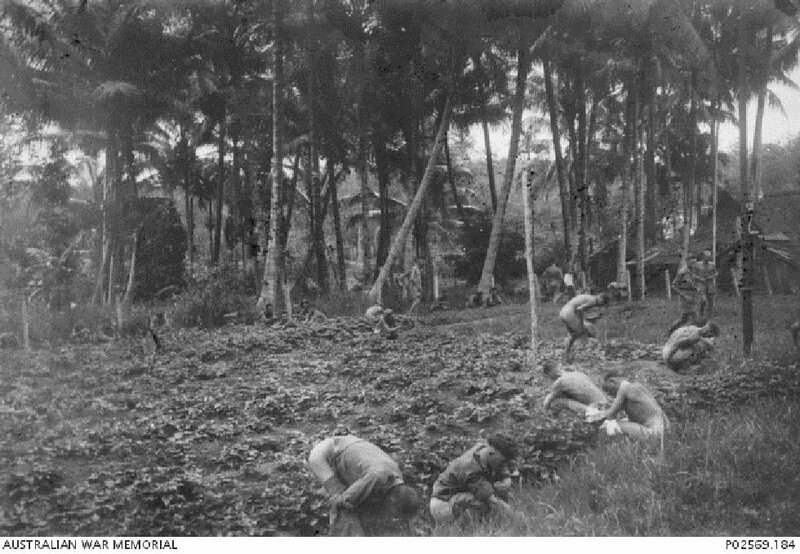 Image courtesy of George Aspinall, Australian War Memorial. The accused, Sergeant Major Toyoda Akiichi of the Kempeitai, was charged with committing a war crime in that he had violated the laws and usages of war. Between February and December 1942, Toyoda ordered the arrest of 18 victims and charged them of being communists, members of a secret association and members of the Straits Settlements Volunteer Force. 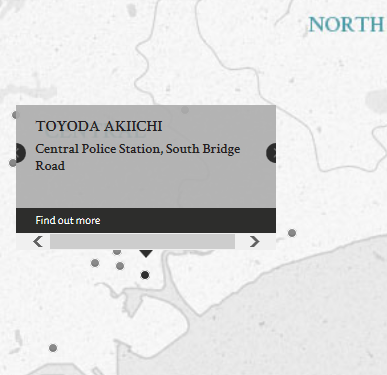 The victims were ill-treated and tortured by Toyoda, resulting in the deaths of two of the victims, Wahab and Wee. The court found that the death of one of the victims, Armughan, was caused by dysentery, rather than as a result of Toyoda's ill-treatment. Interestingly, the prosecutor, who held the rank of colonel, was of a higher military rank than all three judges of the court, who held the ranks of lieutenant colonel, major and captain. Toyoda, Akiichi. Sergeant Major. From Japanese military. From Japan. Guilty. Death by hanging. Sentence confirmed. Fouracres, M.C.M. Major. From British military. Busfield, K.M. Captain. From British military. Kerin, F.C.A. Colonel. From British military. Eber, J.F. Civilian. Barrister-at-Law of Inner Temple. Kawazoe, Toshioki. Judge of District Courts in Japan.